“We allege that Musk’s statements were false and misleading because they lacked any basis in fact,” Stephanie Avakian, co-director of the SEC’s Enforcement Division, said in a press conference Thursday evening. Musk is also facing a criminal probe by the U.S. Department of Justice over his statements, after it became evident that no deal had been arranged. Tesla abandoned the plan not even three weeks later. Musk slammed the lawsuit in a statement issued following the SEC’s press conference. The agency’s case poses serious ramifications for the automaker, as it’s seeking to bar Musk from operating Tesla as CEO or director. Tesla’s stock price is, in a way, tied to the whims of Musk and his position as the all-electric automaker’s top-ranked employee. “Only reason why this is not certain is that it’s contingent on a shareholder vote,” Musk said at the time. “When he made these statements, Musk knew that he had never discussed a going-private transaction at $420 per share with any potential funding source, had done nothing to investigate whether it would be possible for all current investors to remain with Tesla as a private company via a “special purpose fund,” and had not confirmed support of Tesla’s investors for a potential going-private transaction,” the agency’s lawsuit says. As anyone who has followed along with this strange saga to-date knows, Tesla’s stock immediately shot up in response to Musk’s tweet, spurring the SEC to launch an investigation and the complaint filed Thursday. “Musk’s false and misleading public statements and omissions caused significant confusion and disruption in the market for Tesla’s stock and resulting harm to investors,” the agency claims. Several investors have since filed a lawsuit against the automaker, with claims that mirror the SEC’s complaint. The agency also went so far as to allege that Musk’s price-point of $420 was nothing more than a literal weed joke. “According to Musk, he calculated the $420 price per share based on a 20% premium over that day’s closing share price because he thought 20% was a “standard premium” in going-private transactions,” the complaint says. Musk had claimed in a later blog post that he’d walked away from a meeting in July with representatives of the Saudi Arabia sovereign wealth fund convinced it could fund the transaction on its own. But the SEC said the meeting “lacked discussion of even the most fundamental terms of a proposed going-private transaction,” and, in the following days, countless uncertainties remained—for example, no specific proposal was provided to the board, nor did Musk discuss the price of $420 with any potential funding source. 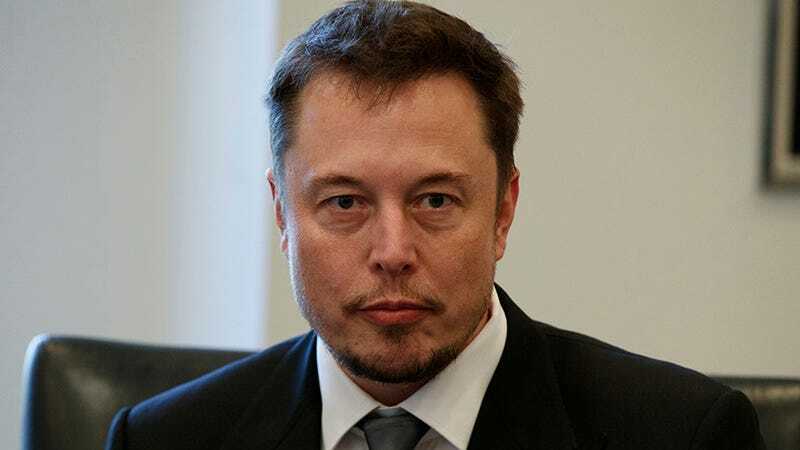 Beyond the effort to bar Musk from acting as an officer or director of any public company, the SEC is asking the court to find that Musk violated securities laws and pay back any “ill-gotten gains received as a result” of his tweet. Steven Peikin, co-director of the SEC’s Enforcement Division, said in a statement that corporate officers hold positions of trust and have an important responsibility to shareholders. “An officer’s celebrity status or reputation as a technological innovator does not give license to take those responsibilities lightly,” Peikin said.